sailboat. : GlossyBox: September 2012. The Special Edition Maggie Li Box. 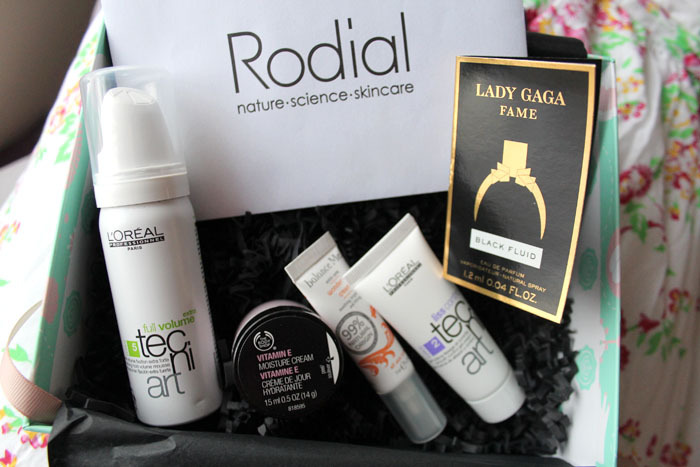 GlossyBox: September 2012. The Special Edition Maggie Li Box. 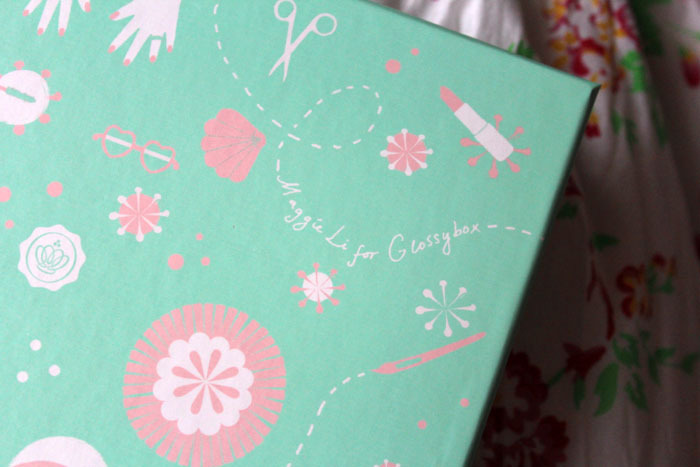 I can't begin this post without commenting on how utterly gorgeous the design of this months GlossyBox is. The gorgeous illustrated design by Maggie Li makes this a box to keep, either for yourself or to fill with goodies to give as a gift to someone special. My Mama loved the design so much that it's already sitting proudly on her dressing table holding her favourite make up items and it looks wonderful! This months theme is Rising Stars, promising to introduce us all to the latest exciting products to coincide with London Fashion Week. I looked at a few spoiler posts before I received my box yesterday evening and I must admit that I wasn't blown away, but after having a closer look at the products I received I'm very happy this month. I'll start with the perfume sample and I haven't ever really been wowed with a fragrance sample in a beauty box, until now. 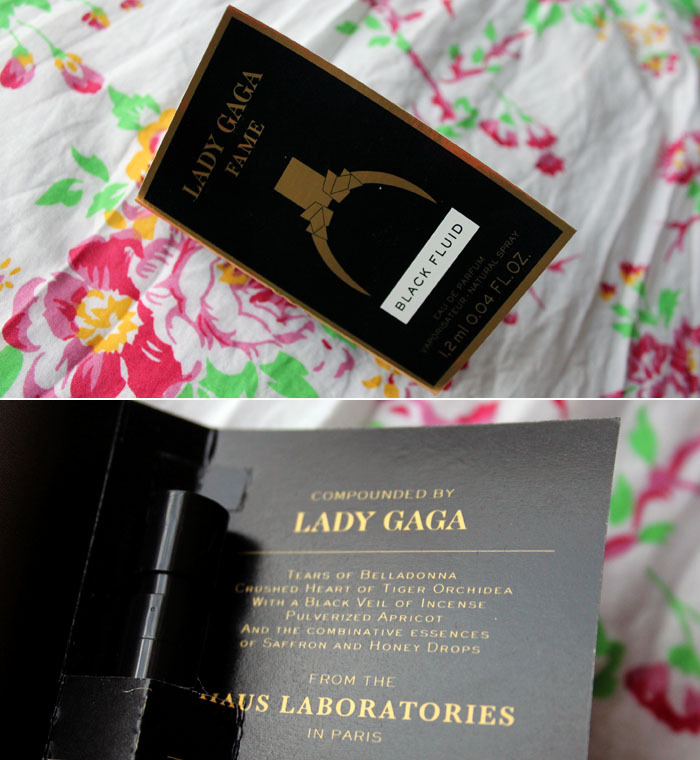 Lady Gaga Fame perfume is beautiful, delicate and wonderful, not at all how I expected it to smell, but I absolutely adore it. It's soft and floral but with that little bit of edge that I can't quite put my finger on. A 30ml bottle retails for a super reasonable £25. I think I'll be popping this one on my Christmas wish list! Next on to some Rodial products and I know that this is a brand that has quite a cult following but it's just not one that interests me. 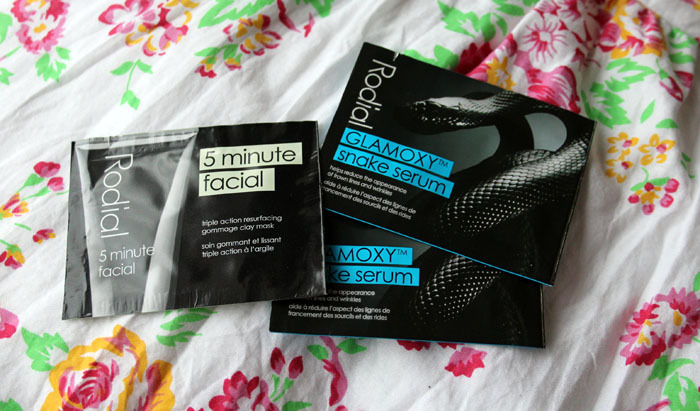 Included are two sachets each of the 5 Minute Facial and the Glamoxy Snake Serum. I tried the 5 Minute Facial last night and I can't say I was overly impressed. The consistency was quite dry and it just didn't feel luxurious. Scent wise I think it's quite similar to the REN Radiance line but I love the products in that line about a million times more. The Snake Serum isn't something that appeals to me at all, even once I'd realised that it doesn't actually contain any real snake bits and pieces, I'm silly, I know! The Body Shop Vitamin E Moisture Cream is a best seller and one that my Mama has used for years. I actually really love this moisuriser, I've been through several tubs in the past and it hydrates without being too heavy or greasy. A tried and tested product loved by many, and I'll be passing this on to my Mama because I know how much she loves it. A 50ml pot is £9 and I think it's definitely one to try if your skin is on the drier side. Hair products never really seem to grab my attention. I don't do very much with my hair and hardly ever use any product in it so usually hair care samples get lost at the back of a drawer but after washing my hair last night I used a bit of the L'Oreal Professional Tecni Art Full Volume Extra Mousse and it really surprised me. Usually I find mousse just makes my hair a little sticky but I actually noticed a difference in the volume in my hair after using this! My hair doesn't feel sticky or crunchy or weighed down at all, I'm really impressed & would even consider purchasing a full size if I still like it once my sample is finished. A 250ml can is £10.30, but a little cheaper online, so a little on the pricey side, but if it works then it's worth it! 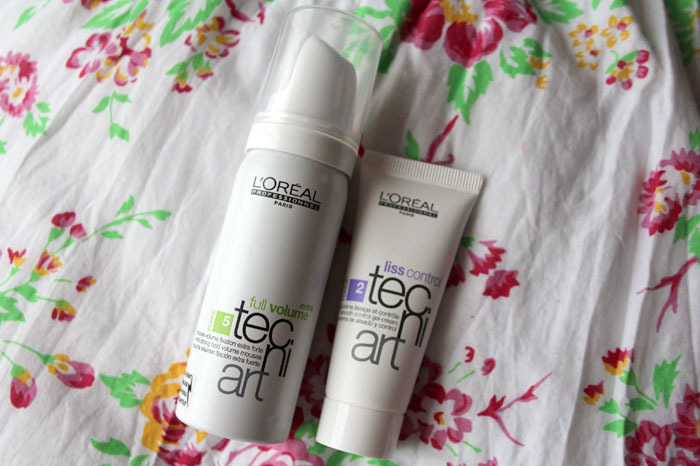 Included in the box was also a sample of the L'Oreal Tecni Art Liss Control Smooth Control Gel Cream which promises to banish frizz & I haven't tried this yet but I'll keep you updated if I do. Finally, a good eye cream is something I'm always on the lookout for so I'm excited to try the Balance Me Wonder Eye Cream. It promises to soothe tired eyes, smooth away dark shadows and reduce the appearance of fine lines. We shall see if it lives up to those claims, I'm not expecting miracles, but on first impressions it feels really nice. It's hydrating but importantly it doesn't feel too heavy. A 15ml tube retails for £20. So that is the September GlossyBox. Are you subscribed? If so I'd love to see which products you received and if you like them! You got some different products to me, I like the look of what you got! I got a hair oil and and a Vichy cream which looks nice. People seem to be bashing the Lady Gaga perfume but I like it too! It smells nice and it's actually wearable. I'm pretty pleased with this month's box, it's a hell of a lot better than last months! I haven't tried many of these, but I have tried the Vitamin E line from the Body Shop and really liked it! It definitely needs to be used sparingly though cause it can make your skin oily! 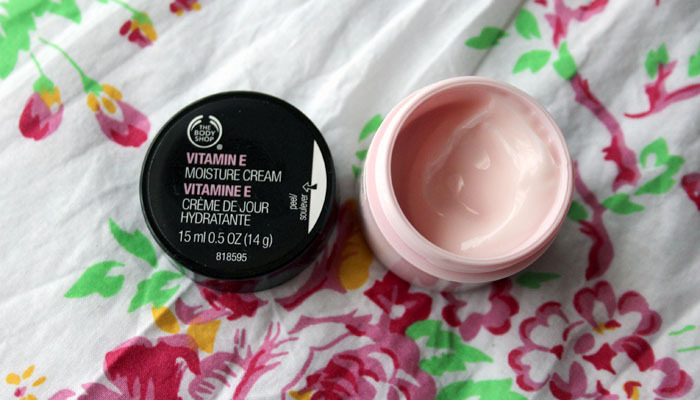 I love the sound and look of the Bodyshop Vitamin E Moisture Cream. It definitely needs furthing investigating next time I'm out shopping. 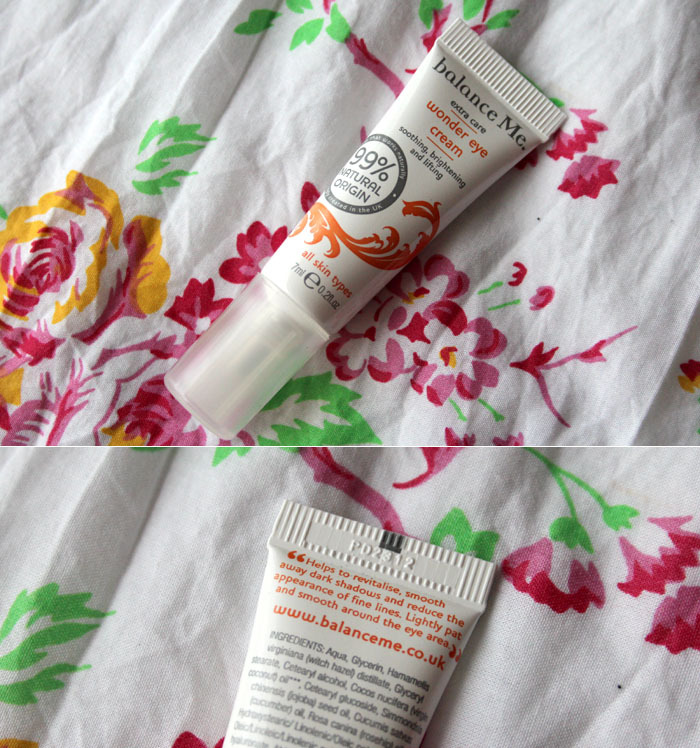 :) I received the Balance Me eye cream when it came free with a copy of Glamour July Uk magazine but I'm not impressed. It feels slightly hydrating but it hasn't done much for my dark shadows. Maybe I was expecting way too much from it? 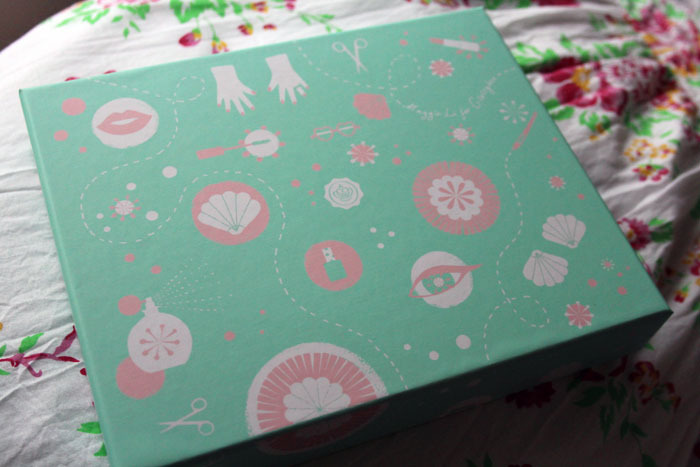 The box is just so so sooo pretty! I'm not a subscriber anymore because i found the products quite disappointing, but they never fail on the packaging! What a cute box! It definitely looks very pretty on the vanity. The Lady Gaga perfume is not what I imagined it to be! It smells like grapes, when I thought it should smell musky. I love that Vitamin E line by Body shop, I always have it to put on my face, it feels and smells so good. I'm also a huge fan of the Balance Me eye cream, I think I got it free in a magazine a while ago and loved it. Don't know if it's worth £20 though! Love the products! Especially the Body Shop Vitamin E cream. Never disappoints! Wow i think glossybox canada has the best box this month!